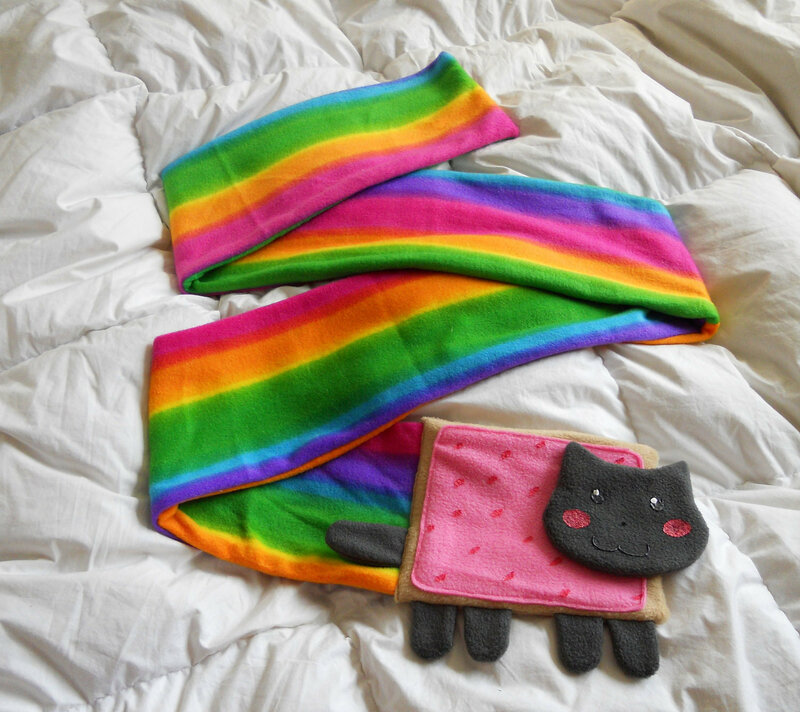 Nyan cat scarf!!!!. I want it so BAD!. HD Wallpaper and background images in the Nyan Cat club tagged: cat nyan lol. So cute i so want to get that if it's real is it? i want one thts so kewl!